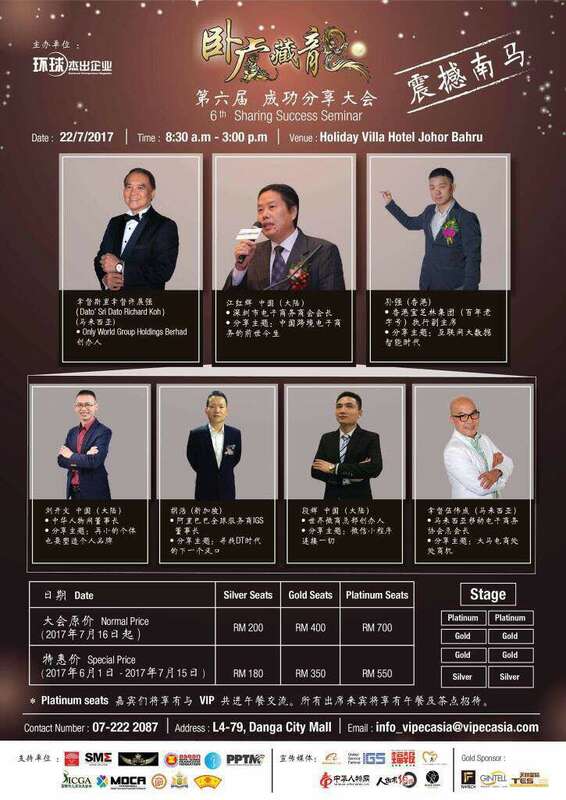 Please be informed that, Universal Entrepreneur Magazine - Vipec Asia Sdn Bhd would like to invite you to participate in the 6th Sharing Success Seminar on 22th July 2017 (Saturday). SME Association of South Johor (SMEJS) is one of the supporting bodies for this event. The seminar is pleased to invite three successful entrepreneurs as the guest speakers. 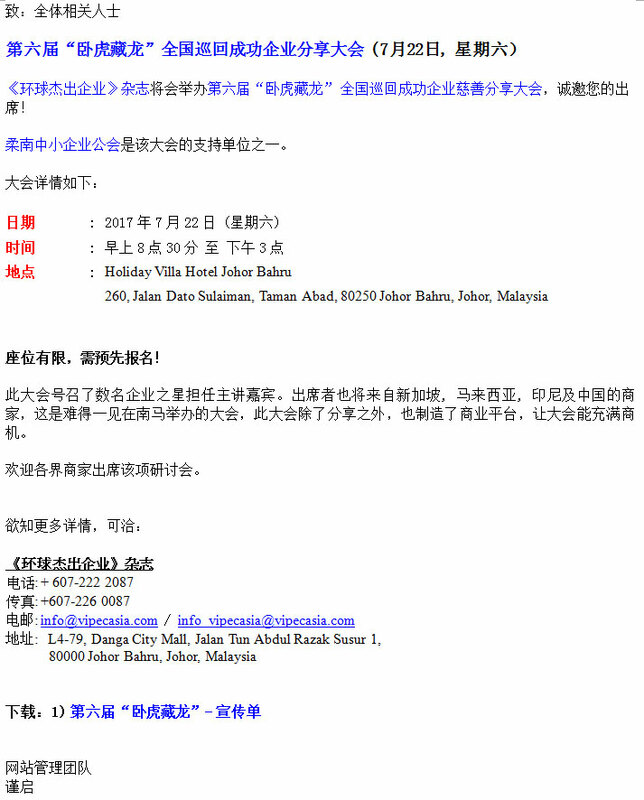 Attendees will come from businesses in Singapore, Malaysia, Indonesia and China. In addition of sharing their experience, but also created a business platform, the seminar can be filled with opportunities.